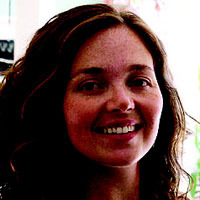 Laura Murray's directorial debut, Slender Existence, a documentary on recovering from eating disorders, screened on PBS and received many awards including a Student Academy Award. Named a "Filmmaker to Watch" by the Independent Film Channel, Murray has since edited five feature documentaries including People Say I'm Crazy by Katie Cadigan, and Best Sister by Academy Award winner Ira Wohl. Murray is currently an adjunct professor at Mount Saint Mary's College in Los Angeles, teaching documentary video production and courses in film and social justice. She received an M.A. in communication from Stanford University's documentary film program and a B.A. in film and drama from Vassar College.